With Ukraine in the headlines Greg Hunter discusses with John Williams the complications for the US Dollar Reserve Currency Status of the ongoing Financial War. China has sold the record amount of US Treasuries in December and buying the record amount of Gold. Today US Dollar has crashed below 80.00 again and closed at 79.66. Russia has already warned US that any sanctions will come back to those who will implement it. 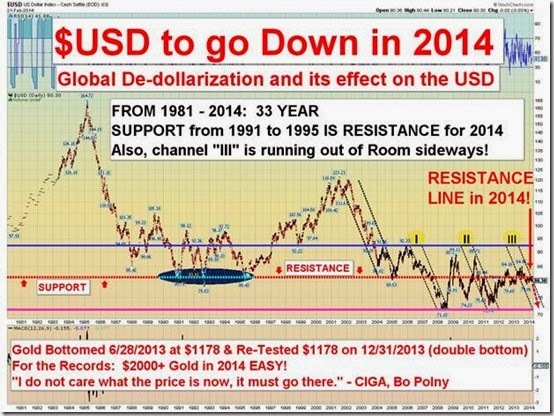 With China siding with Russia we can expect the acceleration of De-Dollarisation now.